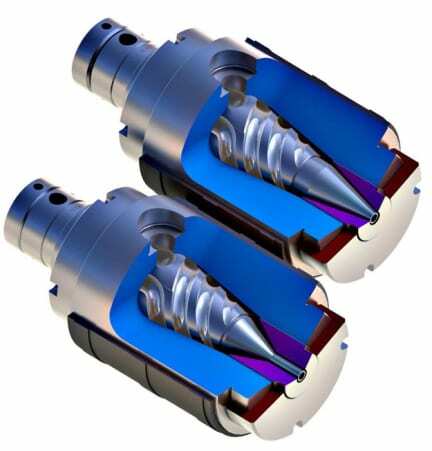 Guill Tool introduces The Bullet™, a new extrusion head with fixed center design, multi-port spiral flow design and gum space adjustment, plus the added feature of no fastening hardware, so cleaning and restart are easier and faster than any conventional head on the market currently, according to company sources. The Bullet allows quick tooling changes, as the tips remove from the back and the die removes from the front of the unit. The absence of fastening hardware eliminates leaking, as does the taper body and deflector design pioneered by Guill. High- and low-volume applications are suitable for this head and are accommodated with the simple, easy changing of just one component. A family of crosshead designs is available and users can specify the “caliber”, that is, the max. die ID. A vacuum chamber and kit for assembly and disassembly are included with the unit. Optional keyed tooling capability offers machine designers and end users quick orientation, so the overall unit design enables faster disassembly, proper cleaning and restart, allowing the line to become more profitable.